Mobile apps are powerful tools for customer interaction. Mobile application development is the process by which application software is developed for low-power handheld devices, such as personal digital assistants, enterprise digital assistants or mobile phones. Today, mobile apps are increasingly being used for executing “on-the-go” business and delivering real-time information. Mobile Applications have become a new driving force of the various businesses and Omkar provides excellent mobile applications to drive your businesses to new verticals. We provide end-to-end services on mobile application development to create a connected business eco-system. Our expertise ranges from production of cross-platform websites and applications for handsets, to development and deployment of intricate applications over native interfaces involving extensive server-side communication. Omkarsoft is a fast-growth mobile firm. Mobile Application development is one of the many service that we provide with profound quality. We work with large enterprises as well as innovative start-ups to create mobile solutions for iPhone, Android and other platforms. We have a dedicated team of experienced professionals who can develop the mobile application to the best of your satisfaction as well as provide consulting to improve the end user experience of your application. 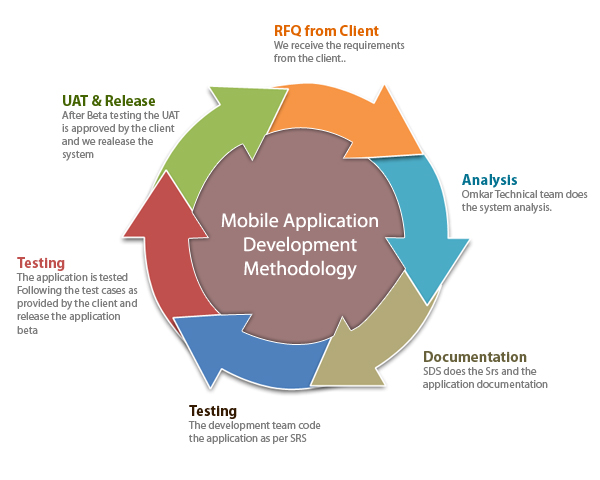 Omkarsoft focus is custom mobile application development. Omkarsoft specializes in the field of Mobile Application development to create interesting, innovative, interactive applications to meet your business objectives.